This set includes: 1-Red Maryland Pride 20oz. Engraved Tumbler, 1-Baltimore engraved crab mallet, 1-16oz. J.O. 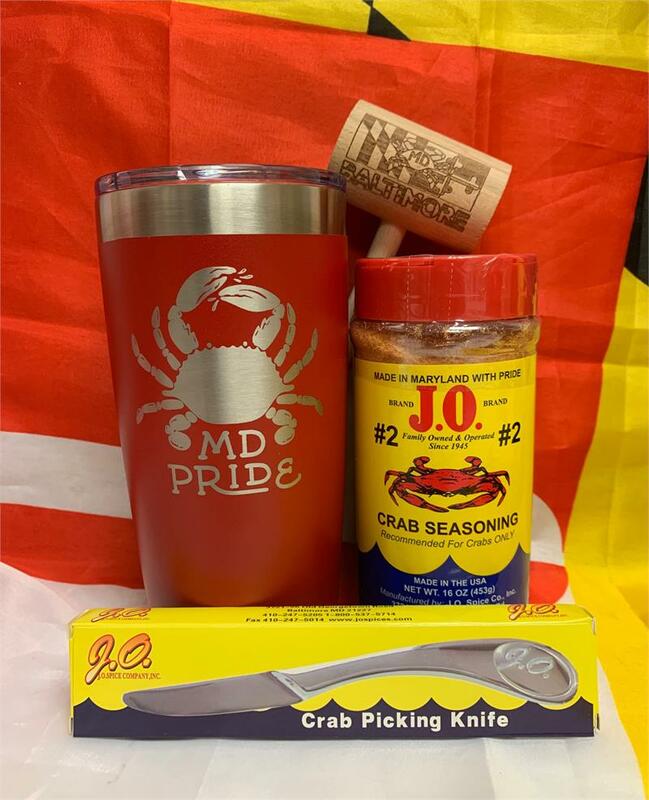 #2 Crab Seasoning, and 1-J.O. stainless steel crab picking knife.